We understand that when you place an order online you expect a speedy delivery, so we have partnered with some of the best freight companies in the business. We use automated shipping software that helps us select the best carrier for your area. Unfortunately, due to the huge expense of re-delivery fees any order that doesn't have an Authority to Leave (ATL) will be sent with Australia Post. Due to restrictions on the Australia Post terms of service this could mean that your consignment could be taken to the nearest post office. If this is not convenient for you then please consider leaving an ATL or call us on 1300-765-575 for alternate arrangements. Please note, this excludes deliveries to a business address that is open through normal operating hours. For our business customers all orders will be shipped with the most efficient courier for your area. Typically, items that weigh less than 3kg will be shipped overnight and for larger orders these would need to be shipped by road freight and delivery times would vary dependent on your location. We aim to deliver as fast as possible to everyone, but we do sometimes run out of stock. If your order is urgent please call us on 1300-765-575 to let us know. This way we can ensure you get your order ASAP! Where ever possible we suggest having someone home to sign for your parcel, or if this isn't possible you can leave us clear shipping instructions on our secure checkout page when placing your order. If the courier attempts to deliver and instructions haven't been left, then a card will be left asking you to contact them so they can arrange a time to redeliver to you. This often leads to further delays with your order which can be upsetting and frustrating. If the item was delivered with Australia Post then they will leave a card and then request you to collect the item from your local post office. This may not be the most convenient location for you. Absolutely, our warehouse is located at F16/35-41 Westpool Drive, Hallam, Victoria 3803. Please make sure that you place the order through our fully secured web site first and then call ahead prior to collection as this will minimise the delay in picking and packing your order. As stock is continually moving in and out of our warehouse we would always recommend calling ahead to make sure that stock is available for your order. We accept all major credit cards, including: Visa, Mastercard, Amercian Express, we also accept payments through Paypal and bank deposit (EFT). All payment options are available through our fully secured web site. For approved ABN holders we also offer 30 days from invoice payment terms. For more details please call on 1800 GET INK..
We have secured our web site using the latest 256 bit SSL (secure socket layers) security features, which means that all data, either viewed or entered on any of our pages, has been encrypted before it has been transferred. You will know the page is secure when you see the padlock icon on your browser or alternatively anytime the web site address begins with https://. Since January of 2017 CartridgesDirect.com.au has been made fully secure. This means that all pages under our domain name are now fully secured. You will now see a green padlock next to our trading and company names. Will I receive a tax invoice with my order? Yes. It will also be send to the e-mail you have provided once the order is shipped. Our website will generate a receipt once your order has been placed, it will break down the products ordered, delivery details and delivery costs if any. What if I ordered the wrong item(s)? Wherever possible we're happy to accept product back that has been ordered incorrectly, after all these things happen. If you have done this, please call us on 1800 765 575 or email: support@cartridgesdirect.com.au to arrange a return order authorisation. Please note, the returning cartridge(s) must be in original, unopened condition. Opened or wrongly ordered cartridges may attract a re-stocking fee or be refused to be returned. For further details or questions, please give us a call on 1300 765 575. If in doubt, please speak to us before you return the item(s). Should you need to return an item for whatever reason please log into your online customer account and select the order that the return product relates to. Once there select the item that needs to be returned and fill in the basic information required for us to authorise the return for you. Most times we find that although it appears to be a cartridge related problem a quick call to the manufacturer concerned can help trouble shoot the issue. More often than not the issue can be resolved through their own technical support department. Brother require all faulty Item claims to be sent to Brother Australia for evaluation. Brother require a print sample, copy of the original tax invoice or proof of purchase and a print configuration report with all toner and drum returns. 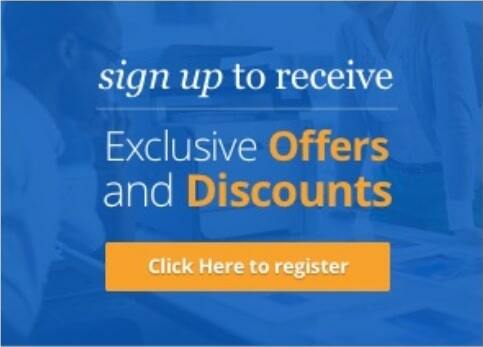 If Brother rejects the claim, you will need to collect the item(s) from Cartridges Direct. Thermal transfer rolls will be replaced only. Please note: This process may take up to 8 weeks to complete. All canon items must weigh above the minimum return weight for approval. Canon ink cartridges will be tested and checked against the fault claimed. The approval decision will be made based on the results of these tests. Canon toner cartridges must have a test page of the fault. If a test page is not supplied the claim will be rejected, as we cannot pursue the claim with Canon. All items will also be checked for refilling, remanufacturing and tampering. All of which will void any warranty the item may have. All Epson inks have a 6-month warranty period from the date of the original invoice. Empty Epson cartridges will not be accepted for credit. Credits will only be issued for original Epson product being returned; compatible products will not be accepted. All Fuji Xerox toner returns must have a print sample of the fault to be accepted for return. Hewlett Packard will not accept any expired, refilled or remanufactured ink cartridges. 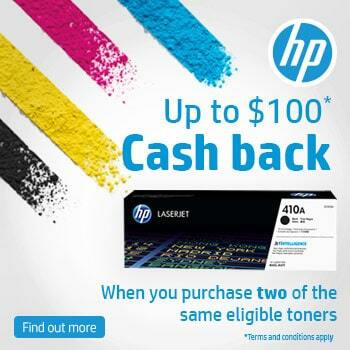 Ink cartridges will also be checked against HP’s minimum return. If a cartridge is below this weight, then HP will classify it as empty. 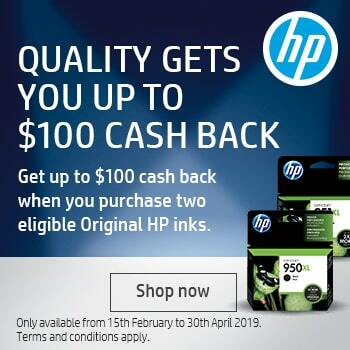 To check the expiry date on HP ink cartridges, see the HP returns data page. HP toner cartridges will require a print sample of the fault, and are tested under the same process as the ink cartridges. Faulty Konica Minolta items must be returned with print samples and/or descriptions of the fault. Items will be weighed and tested for faults by our supplier. Cartridges Direct will only accept back faulty Kyocera consumables. These will be weighed and tested for faults by our technician. For any D.O.A. or faulty hardware you must contact Kyocera directly on 1300 658 348 for repair or replacement. All faulty Lexmark consumables are to be returned back to Cartridges Direct. You must return these items with print samples and/or descriptions of the fault. Lexmark toners and inks will be weighed and tested for faults by our supplier and a credit will be issued accordingly. All Oki toner returns must have a print sample of the fault to be accepted for return. When used fax rolls leave an imprint behind on the roll which renders the product useless and due to confidentiality fax rolls can not be accepted back as faulty items. If you have a problem with these items please call the Panasonic service centre. Panasonic require the following information before accepting any Toner or Drum unit for assessment; a sample of what the products are doing, meter readings of when the toner/drum was installed and a reading of when it faulted. Panasonic are very strict with this and unless they have all three they will not assess the goods. Cartridges Direct has no option but to insist that these three items of information must be supplied to us with your Return Request or your claim will have to be denied. All Samsung toner returns must have a print sample of the fault to be accepted for return. Toners and Drums returned as faulty will be checked by our supplier. Our supplier will require specific information detailing what is wrong with the item, if insufficient information is given, our supplier will reject the claim. The results of our supplier’s inspection will be used to determine whether the claim is accepted or not.